The Michigan Central Station near downtown greeted new migrants and visitors for most of the twentieth century, then fell into disrepair. 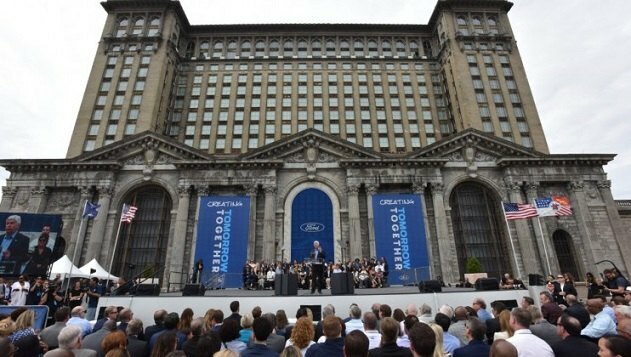 Ford now plans to transform it into a new office campus. DETROIT—This city’s CBD has come a log way in just a few years. The many underutilized buildings now hum with office workers, many of whom live downtown or in the surrounding neighborhoods, one of the tightest apartment submarkets in the US. And even though absorption levels in the CBD have leveled off over the past few quarters, new future developments point to renewed strength in the city’s office market, according to Newmark Knight Frank’s third quarter office trends data. A CBRE analysis found 24 conversion projects from California to Baltimore as retail closures yield industrial opportunities, including 810,000 square feet of potential conversions in Chicago.